There's a supercharge ramp near the back of this level. In order to land on the idol in the middle of this area, you need to get on the roofs around the outside and glide across to it. For this Skill Point, you need to beat the Hockey challenge without letting a single goal slip past you. In other words, you need to win 5-0. Hurricos contains a series of eight windmills that you'll need to locate for this Skill Point. Most of them you should easily find as you progress through the level, but keep your eyes peeled and check around every corner to ensure you've got them all. This one is similar to the previous Skill Point. You'll need the Superflame power-up found at the end of the level in order to find all 11 strands of Seaweed. They're not too difficult to find, so just pay close attention and you should get this Skill Point fairly easily. This one may take a little practice, but it's doable. All you need to do is complete the main course of the level in under one minute and 10 seconds. Don't fret if you don't do it the first time -- you can try again as many times as you need. You need to beat Crush, the first boss of the game, without taking any damage to earn this Skill Point. Good luck! Just past the end of the level is a section with four Catbat enemies. You need to use the nearby lava rocks to take them out. Kill all of them to nab this Skill Point. Find and flame all seven Cacti in this level to earn the Skill Point. They're all easy enough to find along the main path. There are seven palm trees scattered throughout this level. You need to charge into them in order to earn this Skill Point. This is one of the trickier Skill Points in Spyro 2. You need to perform three unbroken laps of the supercharge course, which means you'll need to know it pretty well. This will take a little practice. This is self-explanatory: complete the course in under one minute and 15 seconds. Again, this Skill Point can be earned by completing the course in less than a minute and 15 seconds. As with Crush, you need to defeat Gulp without taking any damage. This one is tricky. 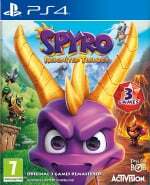 You'll be able to see Ripto on his throne in the arena. What you need to do is fire one of the mini-rockets at him instead of Gulp. As with the other Speedway levels, you simply need to finish the course within the time stated. In this case, under one minute and 10 seconds. 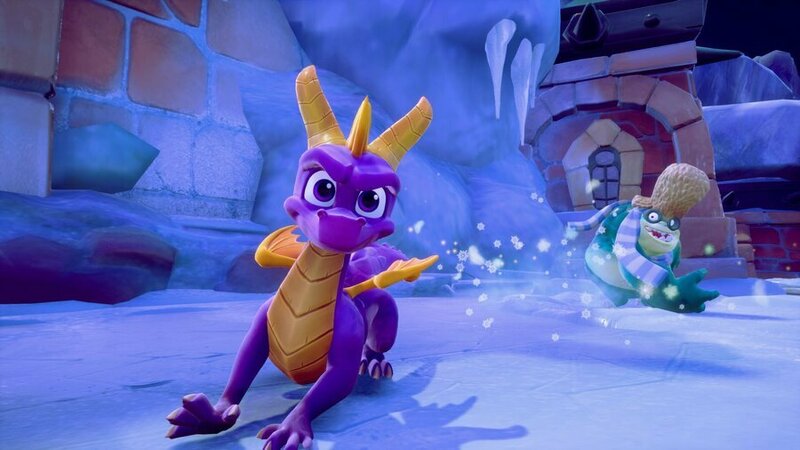 The final Skill Point tasks you with taking on Ripto without letting Spyro take a single hit.